Lighting conditions in any interior is the key player which decides the look and beauty of the place. The decorative and catchy lighting tones have become the mandatory part of any interior planning. But most of the lighting solution companies deal with limited range of lighting fixtures giving very limited choice for the customers for their lighting need. The Quorum Lighting solution is a trend setter in the lighting industry and has served for more than 30 years in the industry offering great range of lighting solutions. Quorum Lighting is pioneer in lighting solutions in addition to that it offers a good range of light fixtures from which you can plan the lighting condition of your home or office. The chandelier light range from Quorum is highly demanded in public for its unique and stylish features. Available in various shades and designs, chandeliers on the one hand gives the contemporary look to your interior and on the same hand adds the modern ambiance to the place. Various other modes of ceiling lighting offered in Quorum lighting solutions consist of spot lights, florescent, multiple lights, pendant lighting, under cabinet as well as outdoors lights, providing enough illumination to the location along with adding the necessary attractiveness. The wall light range at Quorum lighting is highly versatile and can be included in any setting modes of your room. The accent light accessories focus on the particular part on your wall area to offer an exclusive look in your interior. The numerous options available in table and floor lamp range from Quorum lighting helps the client to go for the unique choice for their place. Other lighting choices include exterior lights schemes, solar lights, plug-in lights, photo lights and more. The customers are highly satisfied with the versatile range of different types of lightings offered at affordable rates and that’s the main goal of Quorum lighting. Learn more about Quorum Lighting . Stop by Lighting Specialists site where you can find out all about Quorum Lighting Fans and what it can do for you. Lighting Specialists are a family owned and operated store. 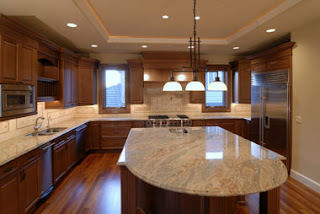 Visit http://www.lightingspecialists.com 801-566-1324 Salt Lake City, 801-224-8365 Orem. Come to our show room and browse our selection of Lighting Fixtures, Lamps, Chandeliers, bathroom vanities, accessories, outdoor lighting, and more. We are your Lighting Specialists in Midvale, UT, Orem, UT and the Salt Lake City, UT. Text your name and email to 801-701-2989 to receive a free guide to Lighting your home.